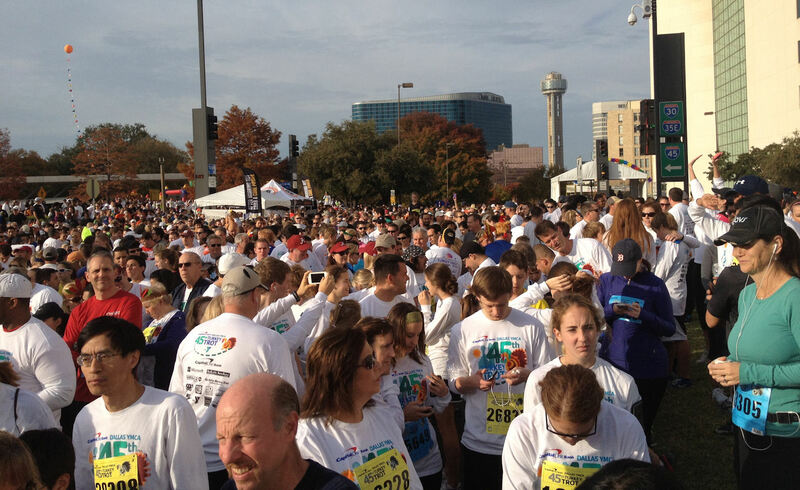 An estimated 40,000 close friends met in downtown Dallas yesterday for the annual YMCA Dallas Turkey Trot. 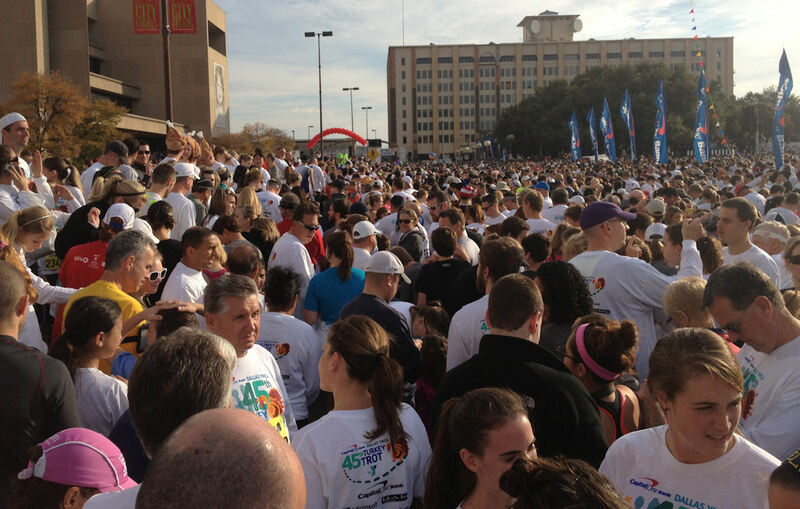 The weather was almost perfect, which I am sure led to the large crowd. Here's my view in front and back of me at the start. It took me just over 20 minutes to cross the start line from the time they fired the gun.